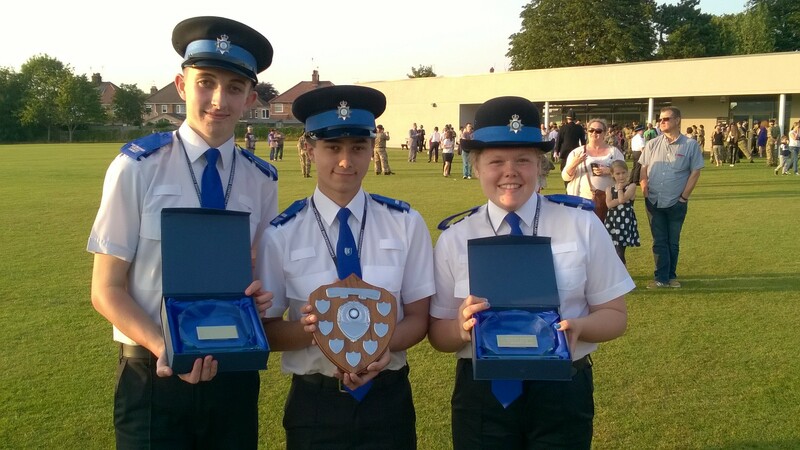 Three young Volunteer Police Cadets have scooped exceptional service awards at a special event involving both military and emergency services’ cadets. The Combined Cadet Force (CCF) Biennial Inspection was held at the Thomas Deacon Academy in Peterborough on Wednesday, July 15. The Academy is home to both an Army and RAF Cadet unit as well as the town’s Volunteer Police Cadets. 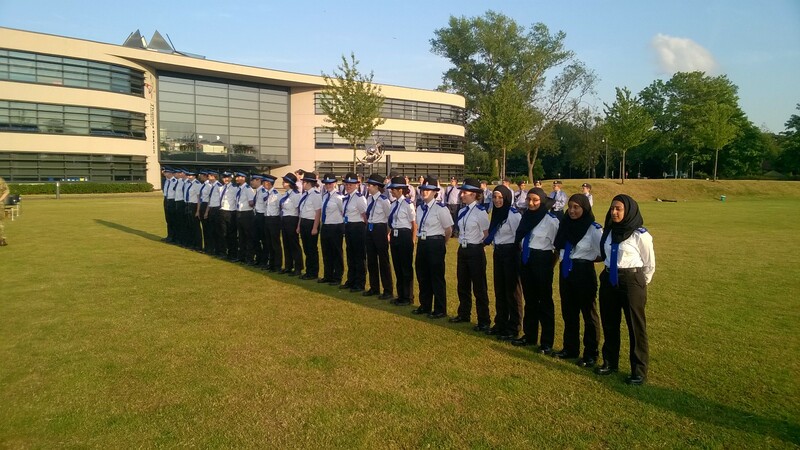 A passing out parade was arranged to celebrate the end of term for the military cadets and Peterborough’s Volunteer Police Cadets were invited to take part, bringing together the whole family of cadets for the first time.  During the celebration, attended by Cambridgeshire Deputy Police and Crime Commissioner Brian Ashton, Assistant Chief Constable Mark Hopkins and Superintendent Tony Ixer from the Force, three young police cadets were presented with Police and Crime Commissioner sponsored awards recognising commitment and effort. Krzysztof Koniecko was presented with the ‘Best Cadet’ award while Liam Harrison and Rosie Clifton won ‘Most Improved Cadet’. Commenting on the awards, Mr Ashton said: “It was a real pleasure to witness all of the various cadets groups coming together to celebrate the work they do and their many achievements. 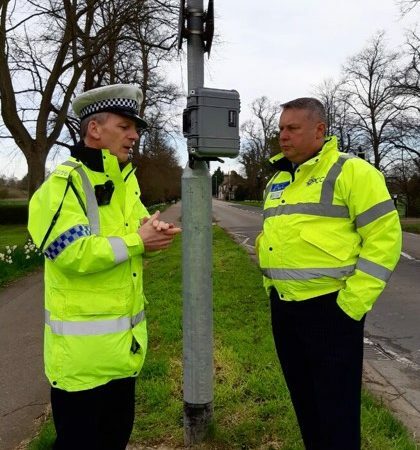 “These youngsters are important ambassadors for Cambridgeshire and for the younger generation as a whole and the various cadet leaders present on the day were certainly very proud of their achievements and dedication. The first Volunteer Police Cadet Programme was set up in partnership with the Thomas Deacon Academy to inspire young people to participate positively in their communities and support local policing priorities. 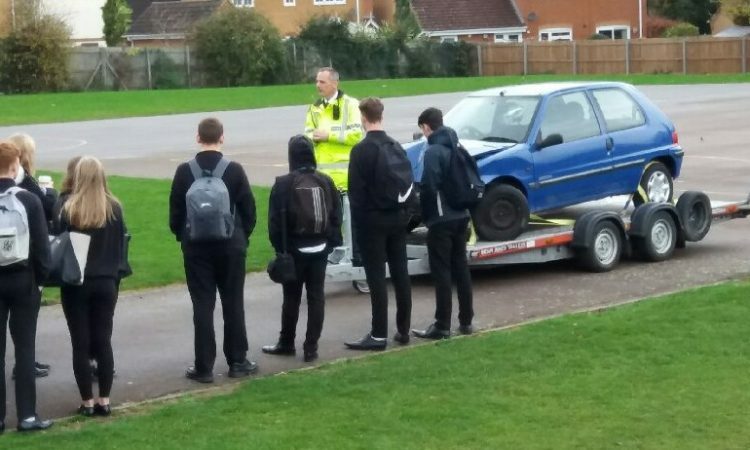 Cadets have recently completed training at the Commissioner’s second unit based at Soham Village College and there are also plans for the scheme to be rolled out to Wisbech and Cambridge City in the future.